Went to close up my parents cottage and do some hunting. Was successful at both. An 800 pound bull moose is nothing to sneeze at for sure. 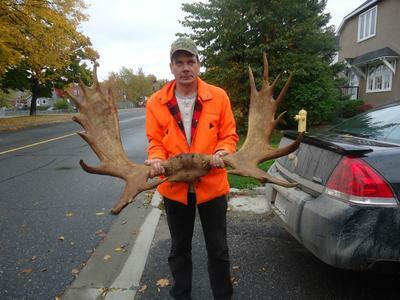 I assume your hunt was in Northern Ontario, did you see many other moose hunter while you were out? Thank you for sharing your moose picture.